Sotheby’s Impressionist & Modern Art Evening Sale takes place this evening in New York with a catalog full of heavyweights and important pieces. 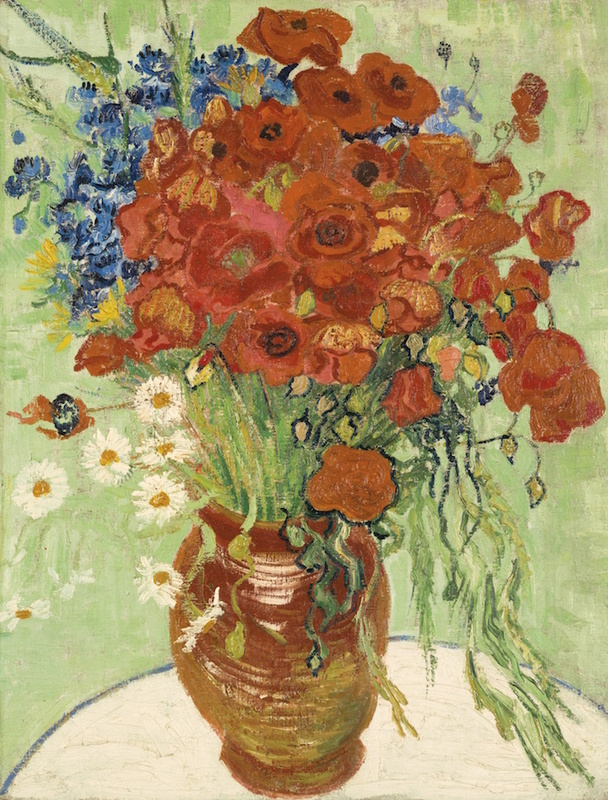 The auction's highlight is a Vincent Van Gogh's Nature morte, vase aux marguerites et coquelicots, estimated at $30,000,000 — $50,000,000. The painting has been exhibited in museums such as the National Gallery of Art in Washington D.C, the Museum Of Modern Art in New York and the Albright-Knox Art Gallery in Buffalo. Van Gogh painted the piece only a few weeks before his death in the town of Auvers-sur Oise, where he often painted outdoors. However, this piece was executed in the home of Dr. Paul Gachet, an art collector and Van Gogh's physician, who the artist immortalized in the renowned painting Portrait of Dr. Gachet. It is presumed that the painting was given to the doctor who then in turn sold it to Gaston Alexandre Camentron, a private collector. It remained in various private collections for several years, but was then brought to the United States in 1926. Two years later it was acquired by Knoedler Gallery, making it one of the first pieces by the artist to be sold in the United States. Browse all of Sotheby's auctions here.